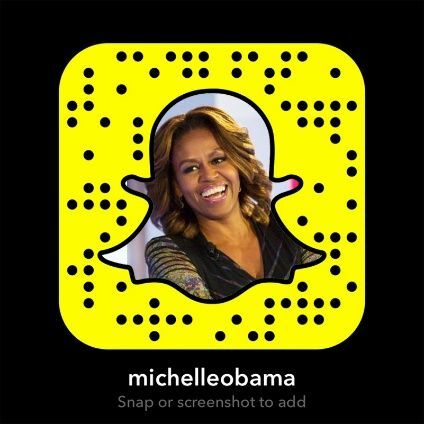 Snapchat is a social media platform that enables users to share photos and short videos with followers. These ‘Snaps’ are designed to be viewed in real time, so get deleted a few seconds after being viewed. You can also create a ‘Story’, by compiling Snaps and ordering them into a narrative. Snapchat is primarily aimed at smartphone users; videos and images are displayed vertically and full-screen, so that viewers don’t have to rotate their phones to watch them. This could prove beneficial to authors who want to share book covers, for example. As with most social media platforms, Snapchat first took off in the US, and is now growing in popularity in the UK. At present, more than 60% of 13-34 smartphone users in the US use Snapchat. Across the globe, there are almost 100 million daily Snapchat users, with 2 billion videos viewed each day. Snapchat has a younger audience than most other social media platforms, so may be particularly suited to authors wishing to reach a young adult audience. A whopping 60% of users are under 24, and more 18-34 year old Americans watch videos on Snapchat than on any other platform. Ask fans to share a Snap of themselves holding your book. Offer discount codes. Snaps are temporary, so the discount could be valid for just one day. Create and share tutorials linked to your area of expertise. Share memes with quotes or advice linked to your genre. Romance writers, for example, could share quotes about love. Just make sure that you credit the source. Run competitions to win a copy of your book, or to give your readers the chance to choose a new character’s name, for example. Share information about yourself, such as a photo with your publisher, or at a literary event, a picture of your workspace, or a video of you reading the first line of your next book. Use Snaps to build your brand image, by sharing relevant content linked to your genre and developing your brand ‘voice’. Read more about branding. Share a Snap of the first page of your new book. Do alert people with a Snap beforehand though, so that they can screengrab and save it. Use the Story feature to tell a short story, using captions if needs be. Once you have enough followers, you could try following Mountain Dew’s example and let fans decide what direction the story takes. Invite an influencer with a large social media following to take-over your Snapchat account for the day, creating relevant stories for followers. They will then promote it to their followers. Invite fans to suggest alternative endings for your book, by sharing visual elements or screenshots of small amounts of text. Ask people to vote for their favourite title for your next book. Start a story in Snapchat, then direct readers to your website to read the rest of it. Snapchat is very visual. It’s not the place to share whole chapters. That said, you can draw or write on photos, create memes, or add captions. Videos need to be short and snappy. This isn’t YouTube. Once a viewer opens a Snap, it disappears in 10 seconds, so it is very different from YouTube or Instagram. Viewers can, however, take a screenshot of the Snap, if they’re quick. As Snaps are not designed to be replayed, don’t bombard a viewer with more information than they can take in on one go. Unless you’re taking out paid advertising, you will need to direct people to your Snapchat account, so it’s probably best suited to people who have already built up a following elsewhere. As with other social media, Snapchat is a two-sided conversation. While it does have a chat feature, you’re more likely to engage in other ways, such as sending fans a ‘thank you’ photo if they mention your book. Users will quickly unfollow you if they think you’re just trying to sell them something. You need to offer them a reason to follow you, whether it’s making them laugh with memes, giving them useful advice or a discount, or helping them to learn something new.